As NASA advances deep space exploration, reliable life-supporting habitats will be essential. But creating a structure on the surface of Mars is an extraordinary challenge considering the extensive limits on transporting materials and the differences in atmosphere and landscape. 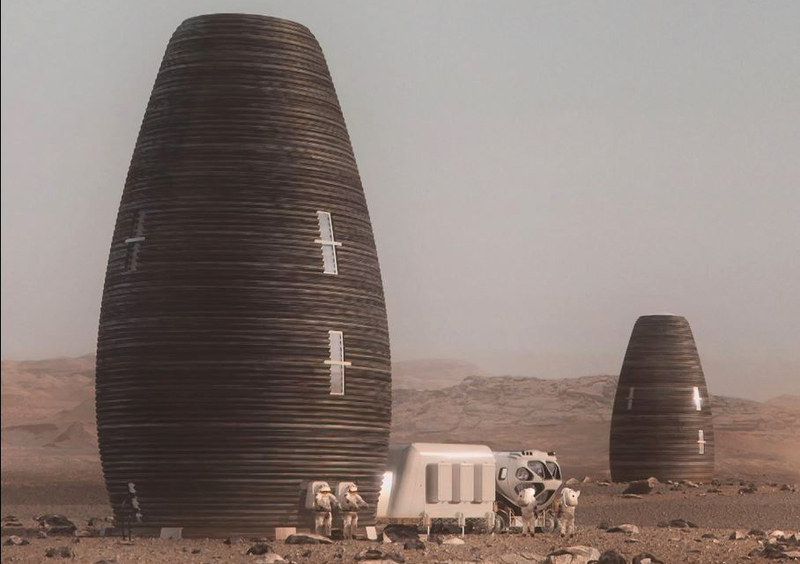 The 3D-Printed Habitat Challenge aims to further the progression of sustainable shelters that will someday occupy the Moon, Mars or beyond by pushing citizen inventors to develop new technologies capable of additively manufacturing a habitat using indigenous resources with, or without, recyclable materials. Phase 2, the Structural Member Competition, focused on material technologies, requiring teams to create structural components. It was completed in 2017. The 3D-Printed Habitat Challenge is managed through a partnership with NASA’s Centennial Challenges program and Bradley University. Bradley has partnered with sponsors Caterpillar, Bechte land Brick & Mortar Ventures to administer the competition. NASA’s Centennial Challenges program is part of the agency’s Space Technology Mission Directorate, and is managed at NASA’s Marshall Space Flight Center in Huntsville, Alabama.